Three offers and two "marks of interest" were filed Monday for the resumption of the Ascoval steel plant, just over a month after the failure of Altifort. Three tenders with conditions precedent were filed for the takeover of the Ascoval steel plant in Saint-Saulve, in the North, and its 281 employees, while two other potential candidates have expressed an interest in the plant. learned Monday from Bercy. On February 27, the Strasbourg tribunal de grande instance granted the steelworks a further one-month reprieve following Altifort's failure to raise the necessary funds. He must decide Wednesday on the fate of the company. "Three offers of recovery and two marks of interest were filed Monday morning with bodies" in charge of the procedure, said a spokesman for Bercy AFP. "These offers are still matched at this stage of suspensive conditions," it added. According to a source familiar with the matter, two offers, filed by the British steelmaker British Steel and the Italian special steel specialist Calvi Networks, are considered particularly credible. They provide for the complete resumption of activity and personnel. >> ON DECRYPT - Altifort does not have the funds for the Ascoval recovery: how did we get there? A third offer, filed by Secufund Industry, provides for a partial recovery of employees and a change in activity. The marks of interest were formulated via letters of intent by the industrialist Pascal Cochez and by a Dutch group who wishes to have more time to study the file. According to a source close to the discussions, the court should allow an additional period of "a few weeks", perhaps until "May", to decide. "The state, the Hauts-de-France region and the local authorities will work quickly with the insolvency administrator to allow these preliminary offers to become firm offers," Bercy told AFP. "The interest in the Ascoval plant, just weeks after the failure of the Altifort project, confirms the quality and interest of this plant," added Bercy, who hails "the very responsible attitude of the steelworks personnel ". 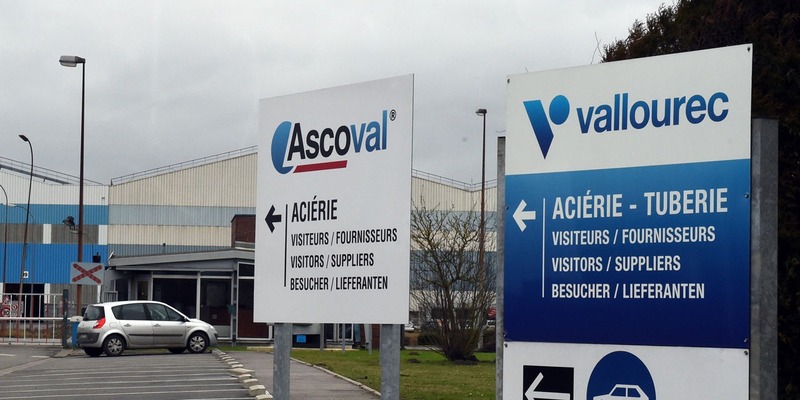 Founded in 1975 by Vallourec and became Ascoval in 2017, the steelworks of Saint-Saulve expects a buyer since the judicial liquidation in February 2018 of the group Asco Industries, to which the steelmaker Vallourec had sold 60% of the plant, while retaining 40 % of order commitments. A first takeover project, led by the Franco-Belgian group Altifort, failed in February, as the company failed to raise the necessary funds for the operation.